Yesterday was simply gorgeous, and today looks like it is shaping up to be another just like it. I went for a walk in the woods and around the yard yesterday, gathering bits and pieces of "stuff", like tiny leaves that we'll try the electroform machine on, feathers, pinecones, and berries. And then I was just goofy enough to put it all together and take a picture. The berries on the plate are big juicy rosehips from the Rosa Rugosa that my brother in law planted this past spring. They really took off, covering an entire hillside behind the "condo" where the pheasants currently reside. Next year, we will definately make some jelly. We probably had plenty this year, but time was not so plentiful. The pinecones grow right off the side yard. I'm not sure of the species of conifer... maybe a spruce. The firs growing there don't have cones that you can actually hold in your hand. They fall away into scales in the wind as soon as they are picked. I found a few violets, lots of beautiful leaves and holly berries... the yew out front is covered with the palest of blue berries. The mums and flowering sages are just knocking themselves out. And then there are the Jerusalem Artichokes. Oy. Those knobby roots are the chokes. They are much simpler to harvest than I had imagined. One scoop with the shovel brings up a lot more than I can possibly serve for one meal. The scale is not very clear in the picture I took to show the quantity of chokes under a single plant, but each of the tubers are a couple inches in diameter. They are pretty tasty, almost like potatoes, except they have a "rooty" flavor that reminds me of ginseng. 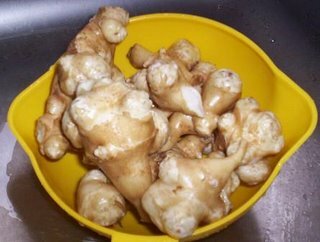 They contain inulin, which I had read was very good for helping to regulate blood sugar - and since they can be prepared in almost any way that potatoes are used, I thought they would be much better to eat than the regular starches. I'm still reading up on this, so I could be wrong. Still, free food is a good thing, and a health benefit would clearly be a bonus. This is what they look like all cleaned and ready to cook. I tossed these into the oven for 30 minutes, and they softened, making it very easy to peel them. After that, I sauteed some sweet onions in a little butter and sliced the chokes like home fries, frying them just until they were browned. They took on a wonderful texture with a soft middle and a sort of crunchy-chewy outside... just what you imagine really good home fries would be like. However. I must warn you that they produce intestinal gas. Lots. So, since I've got them and like them, looks like I'll need to try growing epazote next year and grabbing some Beano for now. Many people who read the magazine or people the yahoo list know Sarah Campbell. She's a longtime friend and she is beginning a very exciting new adventure in downtown Lancaster. Wonderful timing, as Lancaster is experiencing a huge resurgence, and this is sure to be a big part of it. Having been on this particular adventure a while back with my sister, I am so excited for her, and am so tickled to see the glow radiating from her eyes. OH! That's the name of the new adventure - Radiance! She and her daughter Kara Kriner are opening a great new business here in Lancaster. 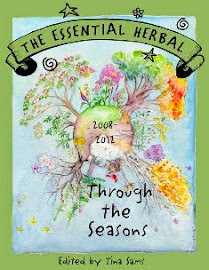 For many years, Sarah has worked on learning about herbs. She's taken courses, traveled to workshops and classes, and studied. We've gone on many a weed walk together, field guides in hands, comparing notes. 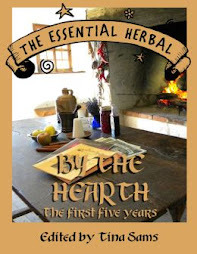 She has a gorgeous labyrinth in the backyard of her home, and uses the herbs that make up the labyrinth to create tinctures, balms, teas, and all sorts of herbal preparations. 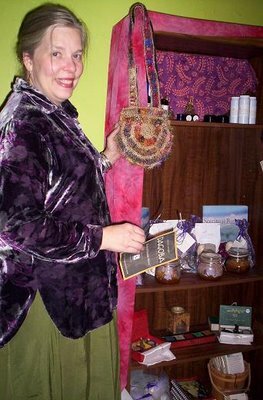 Over time, her stuff has become very popular through sales on her website and people started showing up at her house looking for her shop. About this same time, Kara - a massage therapist and trained teacher of kid's yoga - was finding a little more time with her own daughter in school. They started looking for a space where they could work together. 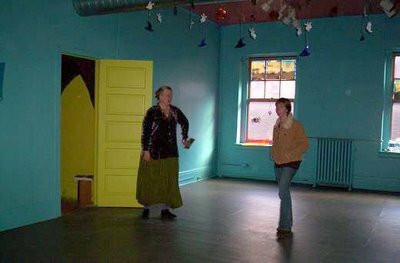 What they found is a beautiful, large, airy space right across the cobblestoned alley from the Lancaster Central Market. The address is 9 West Grant Street. They have been hard at work for the better part of a month, and the result is gorgeous. I took some pictures when I stopped in today (and HAD to pick up a couple items!) even though they have only begun to stock the shop. The colors they have chosen for the floors, walls, and surfaces have blended to create something that remind me of what I imagine to be inside of a lush gypsy wagon. The offerings are diverse and imaginative, fun and ... well, they are the sorts of things that make us feel luxurious without being wasteful. 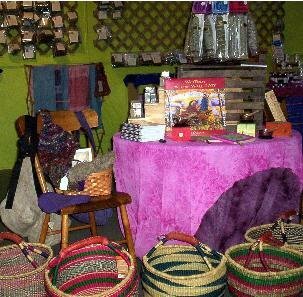 The beautiful African baskets are sturdy enough to use everyday. The bags made from hemp, nettle fiber, and recycled silk are very reasonable and yet seem decadent. Himalayan objects abound, from prayer flags to portable altars to hand puppets and singing bowls. 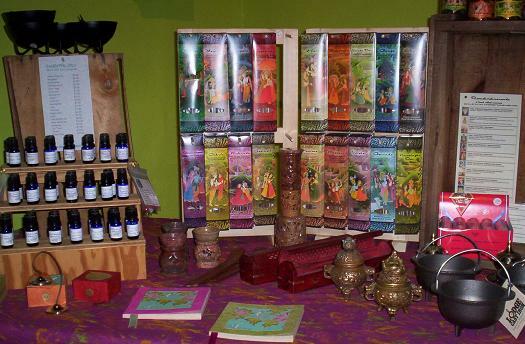 There are all natural handmade soaps, sugar scrubs, and all sorts of pampering products. The incense is divine! The music on sale is world music - something for everyone. 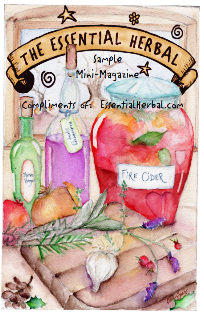 And of course there are the tinctures, bulk herbs, teas, ear cones, and on and on and on. This is certain to be one of the coolest shops this town has ever seen! And yet, that's not all! There is a huge yoga room where Kara will be teaching kids - great for parents to hop across the way for a quick trot through the market ALONE! Note: That's my Molly in the picture with Sarah... There are two treatment rooms for massage, and there will be bellydancing lessons. There is a very large and quite unique eco-feminist lending library. Sarah and Kara are planning to have lots and lots of classes to get the community involved, and I know that my sister and I will be giving some of them too. This is very exciting! I think I may even be putting some hours in at this new place. I can't wait! Just have to add this last shot. This morning Molly called to ask me to deliver her homework to school. As I got out of the car, I looked up and saw this tree. The leaves have the most unusual patterns, and are striking in their contrast. 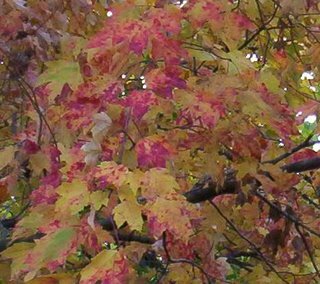 I'm sure the kids in the bottom level of the school got a chuckle watching me scamper around with the camera snapping shots of the leaves. Perhaps even more amusing would have been when I was fumbling around under the beech tree looking for beechnuts. Ah well, it's a new school for her.... so they don't know we're related - yet. 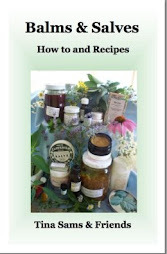 An Herbie in the News - with recipes! Pat Stewart is a busy woman. With a job as a quality systems manager at William Wrigley Jr. Company as well as growing herbs for Possum Creek Herb Farm and a business, called Down to Earth, where she makes and sells garden-inspired gifts and gourmet treats, she still finds time to cook and experiment with recipes. She has entered the Hamilton County Fair on three occasions and each time came away with a blue ribbon for her entries: Tomato Juice, Tomato Bread and Parmesan Cornbread. "Not only do I enjoy cooking, but I enjoy people enjoying my cooking," she said. Except for baking, when she always follows recipes exactly, she likes to experiment with food. "It's Katie bar the door for me. It's always a pinch of this or a pinch of that," she said. "I come from a family of cookers. I grew up where the family revolved around the hominess of the kitchen and breaking bread together. Lots of my recipes are ones I got from my mother and grandmother," she said. "When I cooked Thanksgiving dinner the first year after my mother died, my dad said "If I'd closed my eyes, I would have thought Eileen (her mother) cooked it." That was the greatest compliment I've ever received. I thought I had arrived," she said. Mrs. Stewart said she makes everything from scratch and likes making recipes her own. The Parmesan Cornbread is a good example of this. When she wanted to enter the fair, her husband suggested she enter her cornbread, so she went out to her backyard herb garden and gathered several varieties and came up with the prize-winning recipe. Mrs. Stewart was born in Hixson, but her mother came here from New York, so she said her cooking reflects both Southern influences and Yankee ones. When it comes to Thanksgiving dressing, she said she always prepares her mother's recipe that uses regular bread instead of cornbread, but she has tweaked it so she uses half white bread and half whole-grain bread. She said her specialties are her cheesecake, which she calls "the widow-maker," and her bread dressing. "I'm a purist when it comes to cheesecake. Mine is very dense and not fluffy. It's my mother's recipe," she said. Mrs. Stewart partners with Michele Brown to grow herbs that they sell at Possum Creek Herb Farm in Soddy-Daisy. 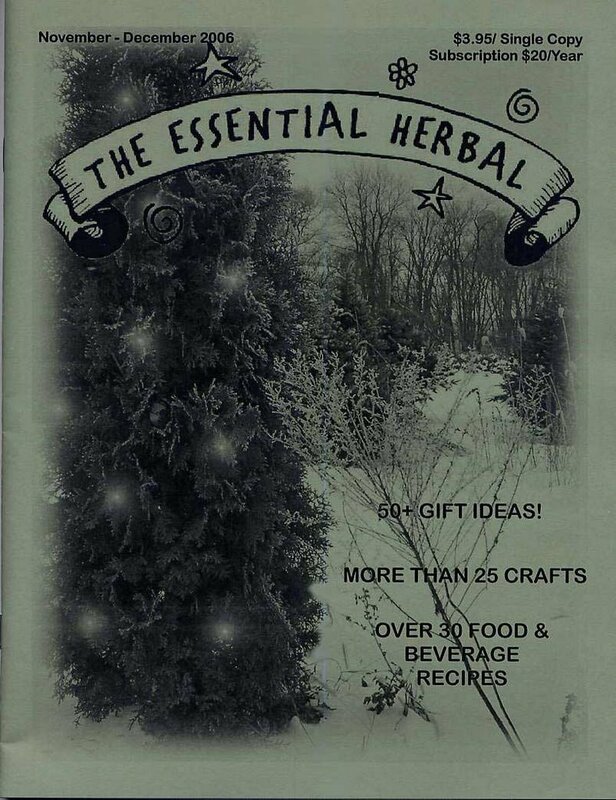 In two greenhouses she raises a huge variety of savory plants, including pineapple sage, Greek and Roman oregano, rosemary, salad burnet, lovage, sage, dill, cinnamon basil, Genovese basil, anise hyssop, chives, chamomile, chocolate mint, fennel and a selection of medicinal herbs. 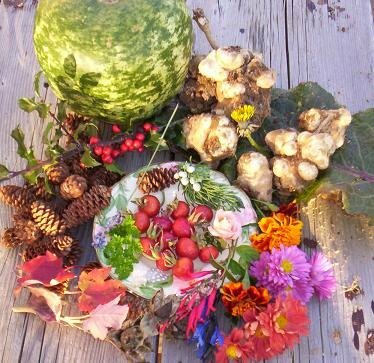 She also grows scented geraniums, and this year harvested a crop of garlic in her vegetable garden along with heirloom tomatoes, green beans, okra, cucumbers and squashes. Several of the recipes she shares with readers today make use of many of the herbs she has learned to use to make her food interesting and tasty. Sift dry ingredients together. 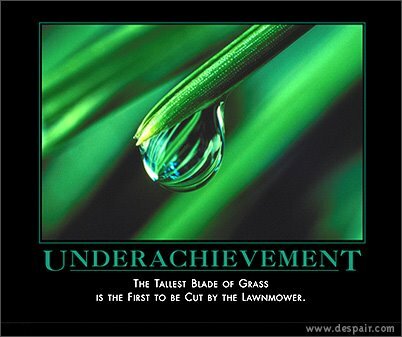 Cut in shortening. Add enough milk to make a drop batter. Drop by spoonfuls on the top of simmering stew and cover. Cook, undisturbed, for 15 minutes. Don't peek! Preheat oven to 450. Mix ingredients together. Pour into a preheated 9-inch cast iron skillet or greased 9-inch square pan. Bake 25 to 30 minutes. Sprinkle some extra Parmesan on top as soon as cornbread comes out of the oven. Clean and rinse beans. Put beans, stock and oil in a saucepan and bring to a boil. Simmer beans approximately 2 to 2 1/2 hours. Sauté onion in olive oil until tender, then add shredded carrot and potato. Cook for 5 to 10 minutes, stirring constantly. At the 1 1/2 hour mark, add vegetables, ham and seasonings to beans. Bring to a boil, and then simmer for the remainder of the bean cooking time. The beans and vegetables should be tender. Optional additions of any combination of chopped green onions, rice, sour cream or Louisiana Hot Sauce add spice and variety to the servings. Combine ingredients, using amount and type of vegetables to suit personal taste. Serve with savory bread or chips. A couple of years ago one of my brothers gave me a calendar filled with "demotivators". They are twisted, a little dark and very, very funny. I'm in that kind of mood today and thought maybe it might be fun to share that site. To see the many posters that parody the slick, goofy posters that cover the walls of corporate America's factories and cubicles, click on "Spin". 20 different ideas - most with recipes and instructions. All of them fun, beautiful and inexpensive. A little information on exactly why you feel so bad and how to avoid that horrible feeling. There were so many interesting things to see while we were set up doing demos at The Amish Farm and House. Maryanne's blog (my sis) has more pictures of different things, by the way. 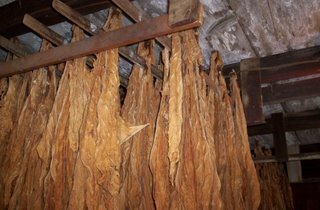 In the tobacco shed, they show the tobacco hanging to dry. That used to be a very big crop in Lancaster County, but now we grow more corn, grains, and soybeans. 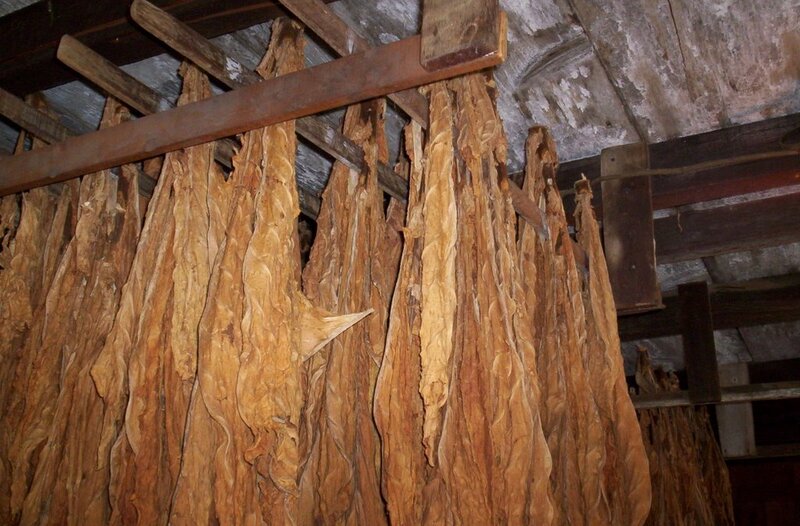 The tobacco grown here was mostly used as the outer wrapping of cigars. I was happy to see this little guy crossing my path. 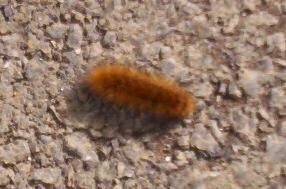 A wooley bear caterpillar with NO black bands. Whoopie! That would mean a pretty mild winter. I've seen a few with very small black bands on either ends, but not when my camera was handy. I'm still on the hunt. Stay tuned. 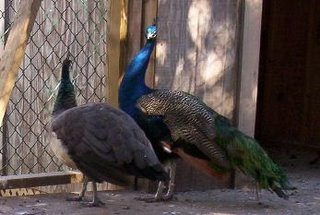 This pair of pea fowl allowed me to take a picture, and I found a few small feathers around. They shimmer in the light like gemstones. We have some pea fowl living nearby. I've never seen them, but they sure make a racket. This pair was fairly quiet. 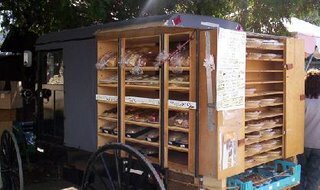 This pie wagon was directly across the path from us. The buggy was fitted with shelving to hold pies, cookies, breads, and jellies on three sides. We didn't stand a chance. At exactly 10:45 all the bells in the county rang in memory of the Amish girls slain one week ago. There was a bell on the building directly behind me, and I found myself looking directly into the eyes of a young Amish woman when the bell rang out it's first chime. 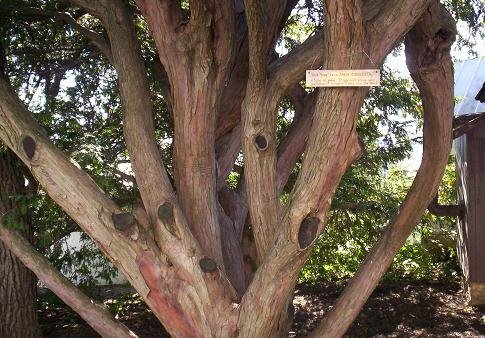 This is a yew "bush". There are three just like it, and this "bush" must be several hundred years old. A woman visiting the farm was blown away by its size. She told us that she was a botanist, and that she'd never seen anything like it. Yews of this variety generally grown to about 6 feet under the best conditions. These were 30 to 40 feet high and spread even wider. I have never really looked at a female ginkgo tree in fruit before. This one was lovely, and had not yet developed the scent that generally makes people avoid it. The flora growing on the farm was really stunning. 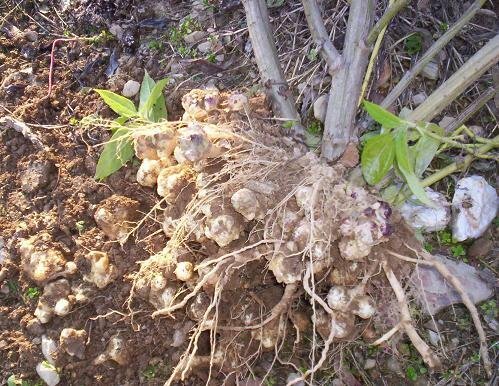 There was also a Chinese Chestnut tree growing. 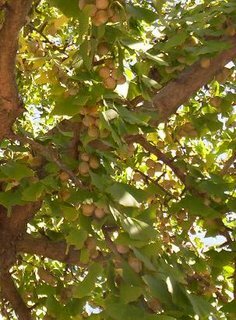 The quilter told me that in years past, the bounty found beneath the tree was much larger, but one tree had been cut down and this tree needed to self-pollinate, resulting in smaller nuts, and fewer of them. I had forgotten how prickly the burs of the chestnut are. They are like tiny needles, and it is nearly impossible to pick them up without stabbing yourself. 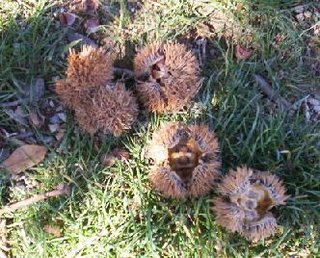 Several of us compared methods we used in our childhood to get the nuts out of the burs. I particularly enjoyed one story of using the feet (shoes), and how important it was NOT to wear canvas sneakers while doing it. 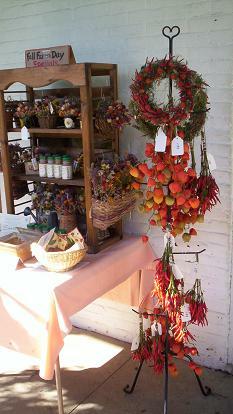 One crafter had a beautiful display of dried ornamental plants and wreaths, along with wonderful potpourris and spices. 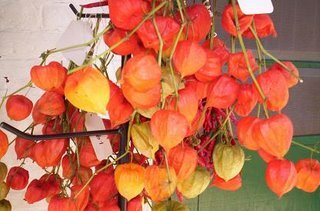 These Chinese lanterns are so pretty. When I was a kid, one of my great aunts always grew them along with "silver dollars" (Lunaria) and would put them into a large vase together. They seemed like the most extravagant thing to me at the time. Pure magic. There were so many beautiful things to look at. I really enjoyed our days at this show. Autumn is arriving and painting everything in new colors. The air is brisk and clean. 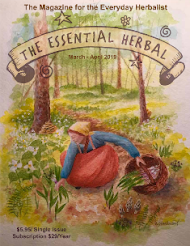 Back to work on getting all the addresses up to date and the mailing labels printed up so that as soon as we get The Essential Herbal from the printer we can get them into the mail. Did I mention how wonderful this next issue is? So far, this month has been a mere blink of the eye. It started with the deadline for the magazine on the first, and hasn't slowed since. At one point, we spent a day polishing the magazine *while* making 6 batches of soap. 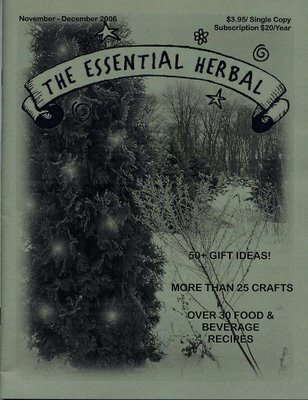 I can't wait to post the cover and table of contents for the holiday issue of The Essential Herbal, because this issue is really terrific. So many recipes, crafts, and gift ideas... well, you'll see. I'll post more pictures of this later, but yesterday and today we are taking part in Harvest Days at The Amish Farm and House on Route 30. Our job is to do soap demonstrations. We took along the fall additions to Lancaster County Soapwork's line (my sister's soap company) to sell, and my books and magazines. We were only going to do yesterday, but the people there are so nice and so easy to work with that when they asked if we could come back for the morning today, we quickly agreed. Besides, we got 3 batches of soap made yesterday! Full size, too. 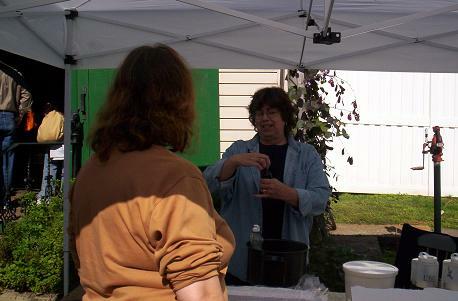 That's Maryanne standing in our tent getting ready to start a batch. We wanted to have a batch ready to show when the buses started arriving. She's talking to (another) Tina who does spinning. Tina sat next to us, and when she saw the gourds on the current cover asked if we knew where she could get a snake gourd. HAH! Do we ever! Her husband wants to make a Didgeridoo - may not have spelled that correctly - out of a snake gourd, so we'll take her one today. The crafters at this celebration of the harvest are pretty amazing people. The quilter told us that she and the spinner both participate in another sort of festival that I have to keep under wraps at the moment - but if we do it, I'll be shouting from the rooftops. I'll keep you posted. There will be more pictures tonight. Lots of great plants growing out there! The news is full of the story.... A 32 year old man with a 20 year old grudge walks into an Amish one-room schoolhouse with guns and sends the boys and adults away. He binds the feet of the little girls, faces them toward the chalkboard, and executes them. Then he kills himself. There are more details, but they don't matter. He had three small children himself, two of them girls. What the hell happened here? I've lived here all my life. The Amish are part of my home and part of my heritage. These children weren't even born when whatever happened to him happened. They had no telephone, no electricity, and no security. It was like shooting fish in a barrel... or clubbing baby seals. They were babies, defenseless and innocent. Just last week we were driving down in the country and passed a schoolhouse where the children were outside playing a game of baseball during recess or maybe lunch. My sister remarked about the tiny little girl holding the bat. We laughed and both silently thought about childhood and the pure pleasure of being a kid, playing a game, being with your friends. All of the schools look pretty much alike, and most of them are now surrounded by chain-link fences to keep out the tourists. They are posted "no trespassing" because of the tourists. I'm sure that they never, ever thought such a thing as this could happen. Nobody in this town ever thought such a thing could happen. This has shaken our community - plain and fancy alike. Aside from a few issues with road usage, the Amish just exist peacefully alongside of the rest of us. They don't judge, they don't witness, and they don't care what anyone else does. They just want to lead their lives as they see fit. To have something like this happen feels very personal. It is heartbreaking. And the thing that I keep thinking today is that the Amish will already have forgiven this man by the time I finish writing about it. They believe that only God has the right to judge or take revenge, and that they must find a way to love and forgive. They will, too.